Our agency already loves to volunteer and interact with these kids at the After School Enrichment program. Being able to support their goals as well would take it to the next level! Frank Herron, founder and executive director of the Herron Agency, is announcing an Atlanta area charity event to help provide underprivileged school children in Sandy Springs with access to reliable transportation. The goal of the event is to help purchase a 15 passenger van to transport children to parks and special events in the region. “Our agency already loves to volunteer and interact with these kids at the After School Enrichment program. Being able to support their goals as well would take it to the next level!” says Frank Herron. The Herron team is asking all Atlanta area residents to help support the event by referring friends, family members, and co-workers into Herron Insurance for a no cost insurance appraisal. 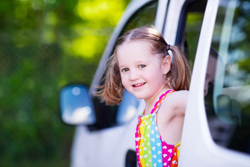 For every person referred in, the firm will issue a $20 donation toward the van purchase. More information on how to be part of the event can be accessed from the following page: http://theherronagency.com/rewards/. As a Personal Insurance Representative in Sandy Springs, agency owner Frank Herron knows many local families. His knowledge and understanding of the people in his community ensures that clients of the Herron Agency are provided with an outstanding level of service. Frank and his team look forward to helping families protect the things that are most important – family, home, car and more. The Herron Agency also offers clients a preparation strategy for achieving their financial goals. To contact an expert at the Herron Agency, visit http://theherronagency.com/ or call (678) 619-2928.